is served with mango, chili or lemon pickle along with tea. 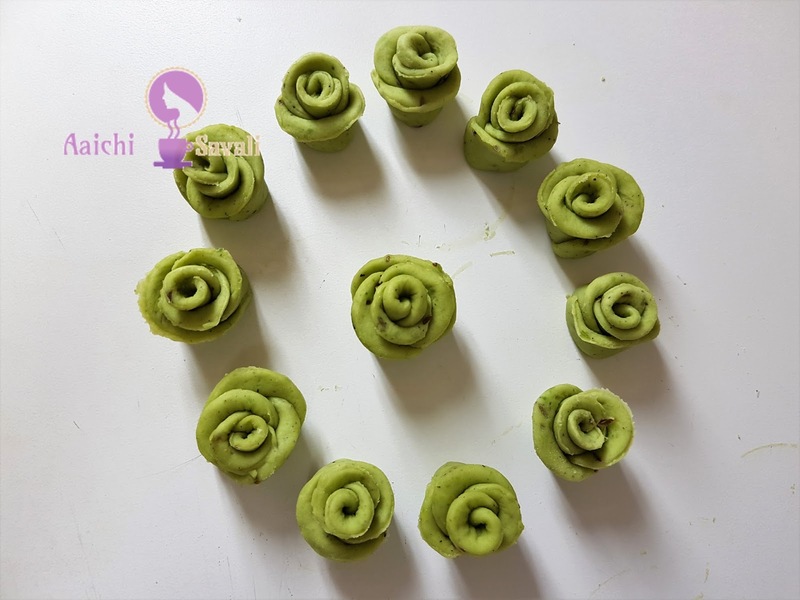 I made some twist, added some masalas, green peas and made this rose mathri. They look beautiful, as the rose itself, healthy and tasty. So give it a try and pour your lovely comments. Total Time : 45 Minutes. 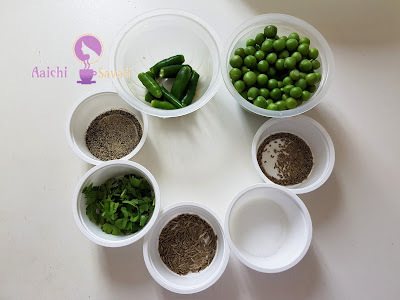 In a bowl, place all purpose flour, carom seeds, cumin seeds, salt, black pepper, coriander leaves and grinded green peas and green chillies mixture. Mix all well and knead to make a soft dough. Apply some oil and knead to make soft dough. Cover and keep aside for 10 to 15 minutes. Now take a portion of the dough and roll it into a big circle with the help rolling pin and rolling board or dry table top using rolling pin. 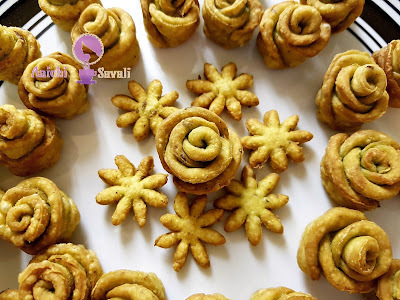 Now cut this 2 inch circles using cookie cutter or cap of any small jars. Then place 5 circles one by one and overlap each other as shown in the video. Then rotate it from the first circle. Then you can get one cylinder. Now cut this cylinder into two halves. Roll out petals of rose with your finger tips as shown in video. Beautiful roses are ready. Do this process for remaining rough. Heat the oil in a deep fry pan, add mathri and deep fry till they become golden color. You should keep the flame at low. Otherwise mathri will cooked outside but does not cooked inside. Here, healthy, delicious and beautiful Rose Matar Mathri is ready to serve. Serve it with mango, chilli or lemon pickle along with a cup of tea. Enjoy!!! It's good to eat Mathri for a evening snack.